We give you lots of information and make sure you are fully involved and understand everything. 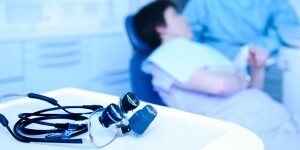 We allay our patients concerns by using state of art technology to give patients sound advice on treatment. Following your consultation our treatment coordinator will discuss your comprehensive highly individualised treatment plans report, discussing the best and most easiest payment options to suit your purse. Seeing your visual reconstruction of how your teeth will look. We will create a digital reconstruction of the your smile. We take digital images of your face and smile, and an intraoral shot. Our software then, performs a series of accurate and mathematically controlled measurements to verify alignments, symmetries and proportions and giving you a complete picture of your final outcome which we aim to achieve, this means you are given a complete understanding of what your new teeth will look like, and what shape they will be. It takes a minimum of eight hours of specified careful preparation for each and every one of our implant patients, we have in-depth team meetings where we discuss together your case, we enter complex information into our software programmes which enable us to contextualise the placement, to enable the final results to mirror your expectations, we use bone topography, stent design and guides to digitally plan the pathway of insertion and ensure we use the optimum implant size. The complete treatment is carried out under hospital conditions, where the cross infection control is exemplary. Providing pain free treatment using the services of the consultant anaesthetists. You even have a choice to listen to music or watch a film to relax during your treatment with us. Our sedation services are offered by our principal dentist Dr Jatin Desai, who is also our in-house implantologist. All of our patients are treated with the utmost care and respect. If you are nervous or anxious we also provide additional services to help you relax. Whether you are worried about dental implants or nervous about your next dental check-up, our highly qualified team of dentists are here to help. We provide bespoke aftercare after treatment. We will be ready to discharge when you are ready and completely comfortable, pain free relaxed. You will be given our 24 hour number in case you need to talk to us. We call you that evening and then again 24 hours after treatment. The whole team is involved in your after care and will briefed on your case to ensure we understand individual needs at that time. We will see you a week after and then again at 6 weeks. Our technician has the highest standard in the country – (picture of the lab). Having a beautiful designed tooth is like having a fine piece of jewellery designed for you and it is imperative you meet with our technician. 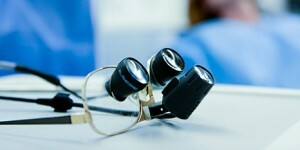 The Smile design consultation means the communication between the dentist and the patient and technician is integrated. 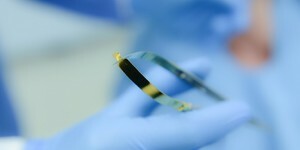 The technician will have the opportunity at this meeting to compare your accurate digital data together with your personal outcomes, colour and desires; to ensure you are completely happy. 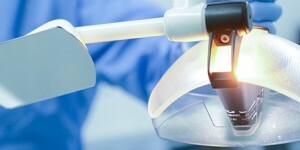 “Our Laboratory have become one of Europe’s leading dental experts in implantology, setting standards for the industry. Our philosophy is simple – to produce restorations that have a truly natural look”. During final insertion, either a layer of the chosen cement is placed inside the crown or the crown is screwed into place for retrievability. 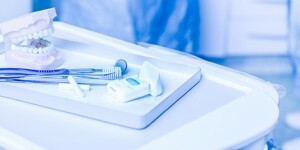 We will ensure a final check of your bite prior to you leaving us with your new smile. We ensure every effort has been made to provide you with a high standard superstructure that will last many years. Your Maintenance programme to ensure you have teeth for life. We will discuss the best possible maintenance programme as it is very important your new tooth is kept free from calculus and bacteria, We will as a team ensure we install good oral hygiene, and that you must brush and floss, over the long-term. A well-fitting and well-placed dental implant can be an excellent long-term restoration for many years if the area is kept clean. 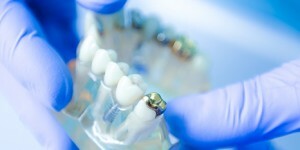 At future dental recall visits all crown margins will be checked carefully by the dentist for signs of plaque build-up. Bone grafting and sinus lifting are two distinctive procedures which can help you meet some of the requirements for an implant procedure. Bone grafting aims to increase the density or amount of bone at potential sites of implantation, and will involve obtaining some bone from other parts of the body and grafting it on where necessary. The result will be increased bone mass, and hence an ability to safely apply advanced dental implants where needed. A sinus lift, also known as a sinus graft, is a slightly different approach that addresses an issue to do with the height of the upper jawbone. Bone density is not the only requirement that needs to be met for a safe and effective implantation treatment, the position of the jawbone is equally important, and where the height of the upper jaw is not suited for implants, a sinus lift can make the adjustments needed to allow for implants. This treatment will involve the grafting of bone to the upper jaw bone, or more specifically an area called the maxillary sinus, thereby allowing for the application of denture stabilising and implant placement. These options are an invaluable offering at Gipsy Lane Advanced Dental Care and ensure that you have an opportunity to make use of the many benefits of dental implants even if you don’t quite meet some of the requirements. If you are interested in these treatments then Gipsy Lane Advanced Dental Care can offer you a free consultation to help you explore the option further. Contact Us today to book an appointment with one of our experienced specialists. If you would like to find out more about the team why not visit our Dental Implant Experts page.